Email I Received from his grand nephew. 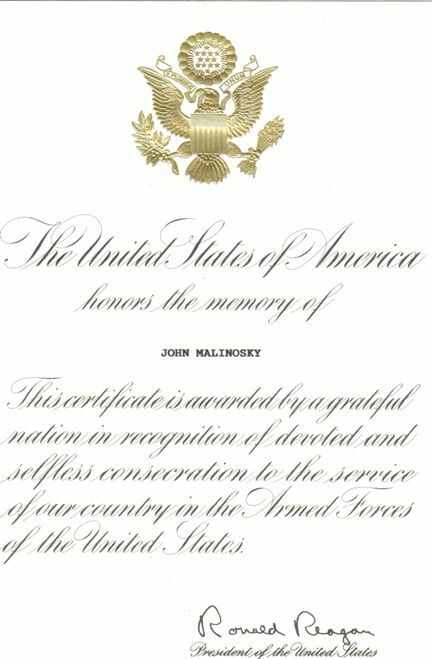 If it all possible it would mean the world to his descendents for his service to be acknowledged on your web site. 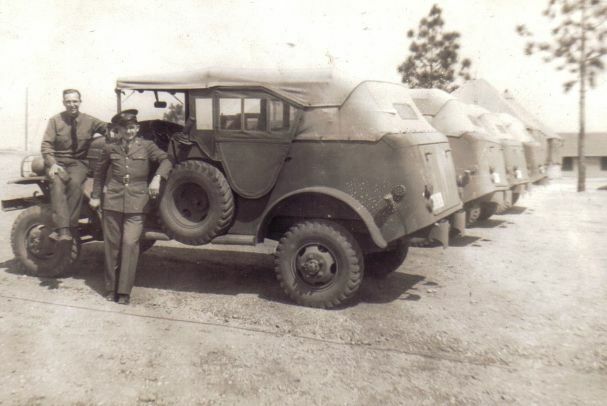 My Great Uncle John was one of seven brothers who served during World War II. The only one attached to the 643rd. I am enclosed several pictures along with a brief newspaper clipping regarding the “Fighting Malinosky’s”. Through the grace of god all of them made it home. 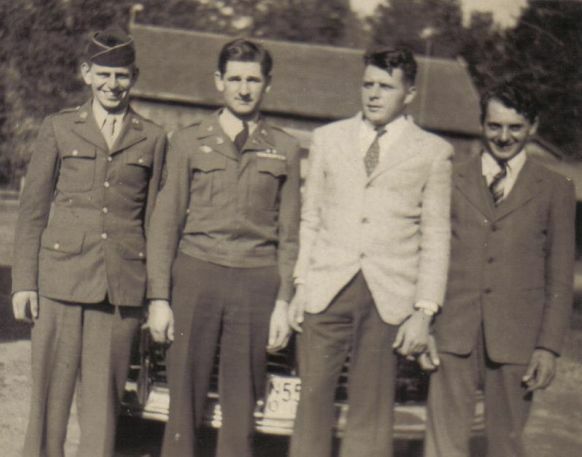 They left as mere young men full of life and returned home as veterans seeking to pick up their “American Dream” way of life after the war. My Great Uncle John, after witnessing the devastation of war, returned home vowing to build as strong a house as he could out of brick. 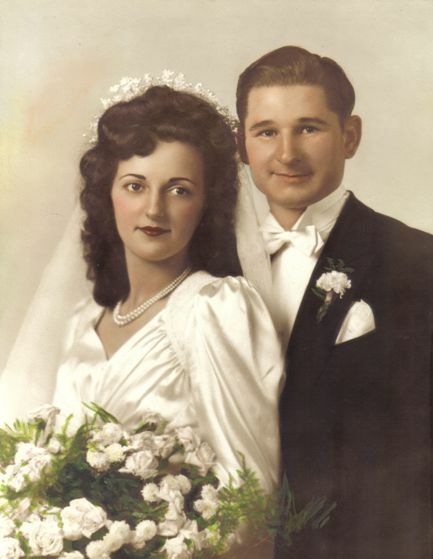 After marrying his sweetheart Caroline soon after the war he set out to do just that over several years. I’ve enclosed a picture of the “fortress” he built. He even built his garage out of brick! My own son Corey now is raising his family in that very house. Uncle John never discussed his exploits with my generation. 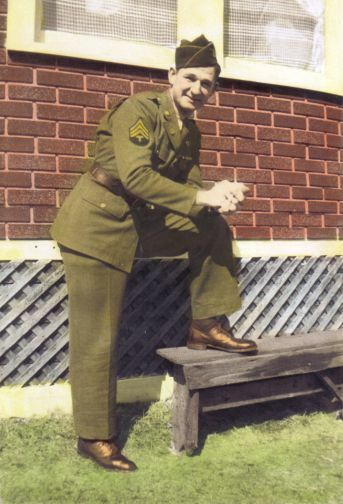 Unfortunately those of his generation always said to never ask about the war. 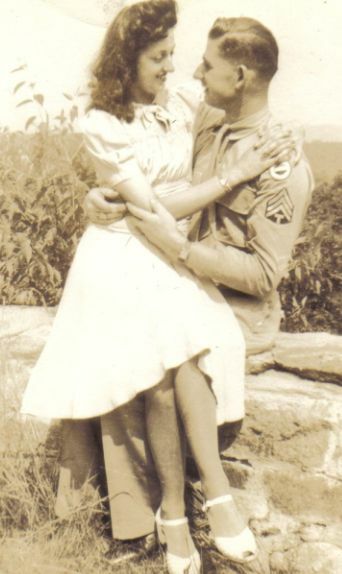 The “greatest generation” in my family has now passed and their war stories are lost to those who served with them. 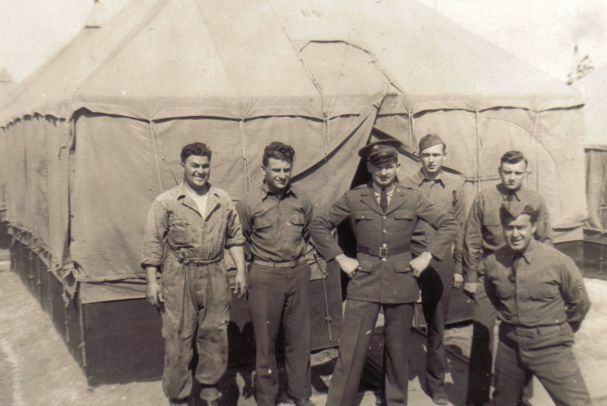 It wasn’t until after my Great Aunt Caroline had passed that we were able to see the pictures and few mementoes her husband had from the war. 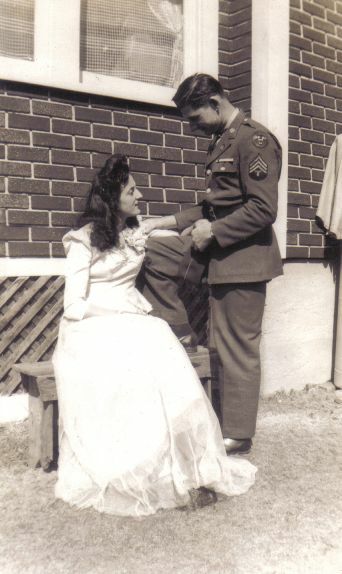 Those included not only his uniform and decorations but a complete crate of love letters he sent home to his future bride. She saved every one! What a treasure. 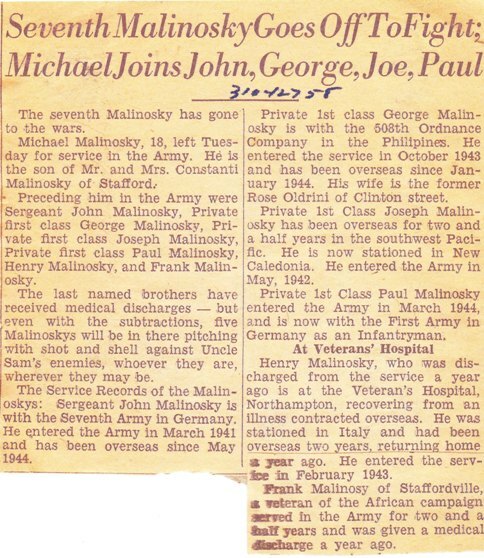 Newspaper article about the seven Malinosky brothers.